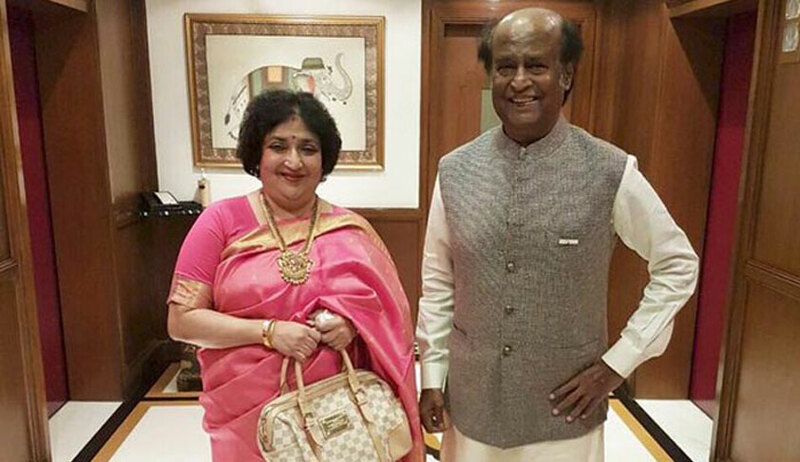 The Supreme Court on Monday reiterated its direction to Ms. Latha Rajinikanth's firm M/s Mediaone Global Entertainment Ltd. to pay Rs. 6.2 crore along with interest to the firm, Ad Bureau which had financed the movie ‘Kochadaiiyaan’. The Bench comprising Justice Ranjan Gogoi and Justice R. Banumathi was hearing an impleadment application filed on behalf of Mediaone, which had claimed that out of the total amount of Rs. 10 crore, Rs. 9.20 crore has already been paid. The Court, however, dismissed the impleadment application, noting that if the amount was not paid within the stipulated time, Ms. Rajnikanth would have to pay it herself, in view of the undertaking given by her to the Court. It observed, "In view of the aforesaid statement we do not consider it necessary to implead the applicant - M/s Mediaone Global Entertainment Ltd. as a party to the present proceedings as in view of the order dated 20th February, 2018 the liability will now be cast on the respondent – accused (Latha Rajanikanth) to pay the aforesaid amount of 10 crore (Rupees Ten crore) in terms of the undertaking furnished to the Court." Kochadaiiyaan, directed by Rajnikanth’s daughter Ms. Soundarya Rajinikanth, had Bollywood star Deepika Padukone starring as the leading lady. In April, 2014, Ad-Bureau had loaned Rs. 10 crore to Mediaone, when the film faced a cash crunch during the post-production stage. Ms. Rajnikanth had then signed as a guarantor. The movie, however, did not do so well at the box office, despite making Rs. 30 crore in India and Rs. 12 crore abroad in the first week. The movie producers were, therefore, left in huge debt, especially considering the fact that the movie was made on a budget of a whopping Rs 1.25 billion, according to a report by The Hindu.